Why is Gurgaon the Best Location for Investing in Property? No matter you’re after a residential or commercial property, there’s no other location than Gurgaon. Why? For the simple reason, it has a perfect blend of good transportation facilities and wide open industrial areas. Over the past ten years, this “Millennium City” as it is fondly called, has made rapid growth. In fact, it’s become one of the most crucial industrial hubs of North India. The vast enlargement in IT sector had led to the setting up of offices of multinational companies. 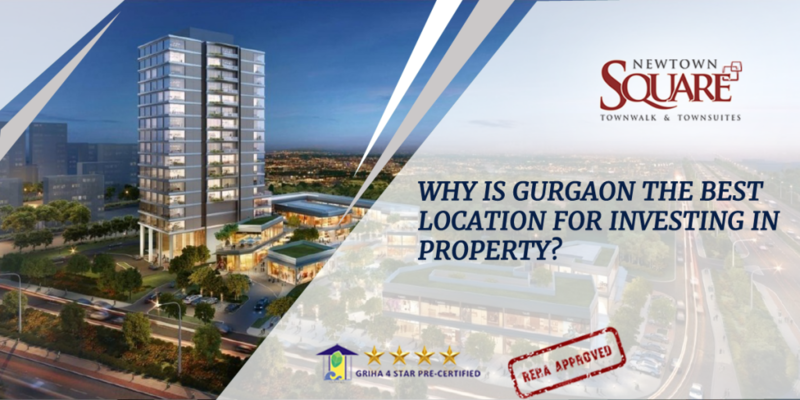 Keeping this in mind, it’s become important for you to have a sound knowledge of the real estate industry before investing in property in Gurgaon. Is Gurgaon the best location for property investment? The Delhi NCR region has been a witness to much improved investments from people who’re a part of the corporate world from all over. Why? They want to penetrate into the real estate market in India. That way Gurgaon has become the Central Business District of NCR capturing more than 70% share in office leasing. As of now, there are several investors who are putting emphasis to buy property in Gurgaon. A huge number of national as well as international corporate companies have left their mark in Gurgaon – a booming city that’s opened varied channels. As the number of jobs are rising in the city, it leads to the huge demand for residential property. Moreover, the Haryana government is taking adequate measures to ensure excellent connectivity, great public infrastructure and other entities which play a vital role for grabbing the investor’s attention. You can even look forward to higher rental incomes not only in residential but commercial properties as well. Even the property value appreciates with time.